With the recent plummet in New Zealand's PISA assessment rankings, the blame game is starting as educationalists and the Government defend their patch. 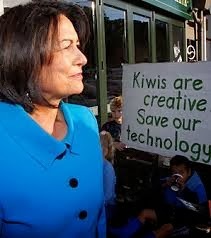 Education Minister Hekia Parata claims there are long standing issues that the Government is addressing, while the education community are saying that the focus on testing rather than teaching and poverty is the issue. The importance or value of the PISA assessments should also be considered in the debate. PISA is an international assessment of Reading, Maths and Science and the assessment is managed so that cultural differences are taken into account to enable fair comparison between countries. Due to the competitive nature of the ranking many countries focus heavily on these tests to ensure the best possible scores. While the assessments do provide useful information on the subjects assessed, and comparisons between different education systems, it is only a snapshot of educational performance. PISA does not measure other useful skills and attributes that will lead to successful and productive lives like creativity, problem solving, initiative and social skills that the New Zealand Curriculum recognizes. The overarching vision of the NZC is to create "Young people who will be confident, connected actively involved lifelong learners". While I don't think that PISA scores are necessarily a true reflection of the overall performance of our education system, the large drop in a rankings in the last assessment should ring alarm bells. The Minister and the media have been talking about the gradual slide in our rankings leading to this latest result but this isn't actually a true representation of what has happened. Our best results were in the Year 2000 where we were ranked fourth in all areas and it is also important to recognise that only 30 countries took part then, and now 65 are involved. For the next eight years we generally remained in the top seven for reading and science, but did have a sudden decline in our maths ranking to 12th in 2003 but appeared to remain at a similar level for the next two assessments (11th in 2006 and 13th in 2009). The last PISA results came out in 2009, but the testing would have occurred in 2008 before the National led Government came to power. The 2009 results had us ranked 7th for Reading, 13th for Maths and 7th for Science and in that assessment 75 countries took part. The latest rankings are after three years of a National led Government and there has been a dramatic drop in our rankings, we dropped to 13th for reading, 23rd for Maths and 18th for science. When National came to power there was already recognition within the education profession that there were areas that needed to be addressed and there was much excitement around the new co-constructed curriculum that focused on the individual needs of the learner and empowering schools to collaborate with their communities. Secondary schools were becoming more comfortable with NCEA and the system was becoming more inclusive and reliable. Socio-economic backgrounds are a major influence on achievement and there has been a rapid growth in inequality under National. The latest census results have revealed that 40% of adults have an income of $20,000 or less (the median income is $28,500) and we have a housing crisis. A huge number of students are living in substandard environments that do not support learning. New Zealand is ranked 29th out of 30 in the OECD for child health and safety and we have the highest suicide rate for 15-19 year olds, poor health (including mental health) does not support good academic performance. The Government cut $25 million from the Ministry of Education and it has been assessed as the poorest performing ministry. The appointment of Lesley Longstone to lead educational change was not helpful and many of those currently in the downsized ministry have no education background. Special Education Services struggle to meet demands and have had to raise the bar for determining support. Rather than focussing spending on students with high needs, the Government has prioritised private schools instead ($35 million in 2009). Private schools now capture special needs funding with Kings College (a private school attended by John Key's son) receiving special education support for 25% of students sitting NCEA. The Government cut advisory services and has limited the professional development to what serves the Government's agenda, not the needs of teachers and schools. There is very limited collaboration between the Minister and the education profession and most education academics are very critical of the Government's focus on ideology rather than evidence and research. Teachers feel that much of their time is given over to assessment and not teaching and yet Hekia Parata promotes new assessment tools as the answer. The negative effects that currently are being experienced with National Standards means that it is likely that the next PISA rankings will reveal a further drop. We won't get an improvement in our PISA scores unless we address inequality and base change on evidence and research. Constant testing and bullying teachers will not raise performance. Given the Minister's determination to continue with her failed approach, and the Prime Minister's support of her, we obviously need a change of Government if we want to become a leading country in education again.